Here are just a few of the additional trends I expect to see gain momentum in the New Year. According to the 2018 Cloud Computing Survey by IDG, nearly three quarters (73 per cent) of organisations have at least one application, or some part of their infrastructure in the cloud, and a further 17 per cent expect to be at this level within the next 12 months. If this happens, by the end of 2019, 90 per cent of all organisations will be at least partially ‘in the clouds’. Meanwhile, digital transformation agendas are continuing apace. IDG’s State of Digital Business Transformation report earlier this year found that 89 per cent of organisations have adopted or have plans to adopt a digital-first strategy. 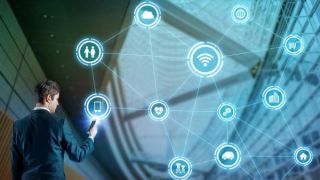 While both of these cloud and digital transformation can be hugely beneficial for businesses, they are not without risks and challenges, and it will be how organisations respond to these that will greatly shape 2019. With that in mind, here are just a few of the additional trends I expect to see gain momentum in the New Year. Technology skillsets and time gaps will stall digital transformation: Organisations that continue to leverage traditional methods to meet new modern and transformative needs of the changing digital business will run into major obstacles in 2019. Comprehensive IT skillsets that traverse the traditional IT and the new Hybrid IT will become rarer. New compliance and governance measures together with a growing monetisation of malware/ransomware attacks will continue to put pressure on IT organisations and force improved operations in order to successfully meet the needs of the digitally transforming business. Without the consolidation of disconnected point solutions in data management and all areas of IT, digital transformation efforts will stall especially as cloud computing becomes the standard for the growing digital enterprise. Recovery Readiness metrics will become the newest trend in technology RFP (request for proposal): Technology vendors must be prepared to meet the requirement for recovery readiness – or the speed in which a service, solution, or offering can be properly brought back online in the event of an outage – as a key requirement definition in technology solution RFPs. Business requirement to keep services active and available for their consumers will continue to mature and become part of the outcome purchasing criteria to pass or fail a solution for specific needs. Solutions providers will need to prove their ability to meet necessary SLAs and will be judged on the ease and simplicity in which this metric can be met. Artificial intelligence and machine learning will become a requirement for new solutions for simplified operations: The IT skills gap will require progressive enterprises to implement new, innovative solutions that automate complex operations. Machine learning and artificial intelligence will become key requirements for new IT solutions to help businesses close the skills gap through smarter operations and modern IT solutions. Enterprise software firms will force their strategic vendors to integrate AI and ML into their existing offerings to provide a more efficient operating model and a higher level of success for meeting their desired outcomes. The end of swampy data lakes: Over the past decade, as data storage hardware costs plunged and applications proliferated, enterprises frequently collected and stored as much data as they could, often giving little to no thought to what this data was or how valuable it could be to their organisation. Typically storing all this data in a repository known as a data lake. Not fully knowing or understanding what is being place in the data lake, why it is stored, and if it is even of proper data integrity will have proved untenable and inefficient for mining and insight gathering. The data lake will begin to disappear in favour of technology which can discover, profile, map data where it lives reducing storage and infrastructure costs while implementing data strategies that can truly provide insights to improve operations, mitigate risks and potentially lead to new b business outcomes. aaS vs. the cloud : as-a-Service offerings will continue to accelerate and a new battle will be fought for the IT wallet. Cloud vs aaS or both? On-premises solutions will still be a major part of IT, however the IT growth will continue to accelerate in the cloud and through aaS offerings forcing providers and technology vendors alike to reassess their strategies for how they will serve their customers and ultimately help them defines and achieve their necessary business and IT outcomes. There are only three certainties in life: death, taxes and advances in technology. While the pace of development makes it is difficult to make predictions with any degree of prophetic certainty, the one thing I can be 100 per cent sure of, is that the only true constant we can expect in 2019 is change itself. With each organisation navigating its own unique path to a digital by design future, I will be watching with interest to see how each of these key contributing trends play out during the New Year.